Get £200 off one of our top gaming laptops. If you didn’t get the laptop you wanted last year, we’ve found a decent deal to kick off your 2019. The Razer Blade 15, one of our favourite gaming laptops, is down to its lowest ever UK price of £1779 at both Amazon and Currys now. This is the model which fully brought Razer in line with the leaders of the gaming laptop market. It has a sturdy solid build, a sleek design and body, a 144Hz screen, and plenty of grunt and power to play the latest titles well. The guts of this being made up of a Intel Core i7-8750H processor and an Nvidia GeForce GTX 1060 Max-Q GPU. It’s one of the thinnest models available right now so can offer performance of a high standard with a great aesthetic to boot too. The solid aluminium body is CNC-milled and the touchpad is sleek and elegant, where Razer have taken a slightly original turn by opting to craft it from glass. You can read our full review of the Razer Blade 15 here. If you’re keeping your options open about a gaming rig and may want to opt for a bigger bit of a kit, then check out our best gaming PCs here. 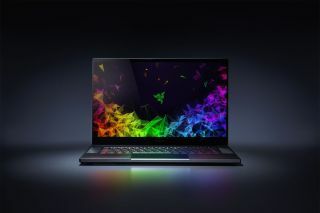 Or take a look at the best gaming laptops in 2019.